Solutions that enhance your business performance and exceed expectations! 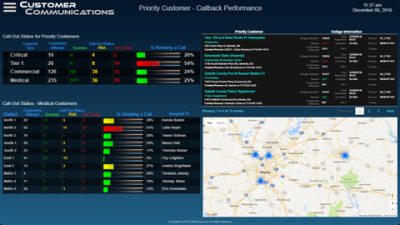 Network Operations provides analytical information related to outages and events for the CEO to the Customer Service Representative on a near real-time frequency. Information includes; outages, customers affected, durations, pending ERT expirations, affected equipment, causes, and much more. Information is presented through charting, tabular, and spatial formats. Drill down, drill thru and drill across to additional detail is readily available. 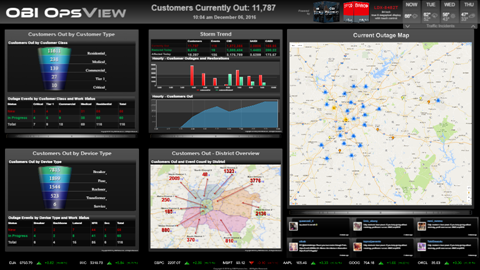 Our Network Operations solution includes our patent pending OpsView dashboards available across multiple platforms include the desktop, tables, smartphones and large format display walls. 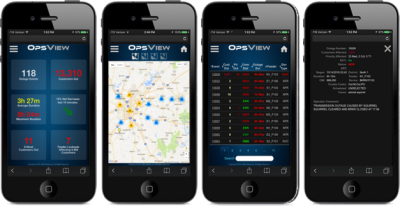 OpsView mobile takes all the information that is available on the desktop and provides it on smartphones and tablets in a self-evident manner. 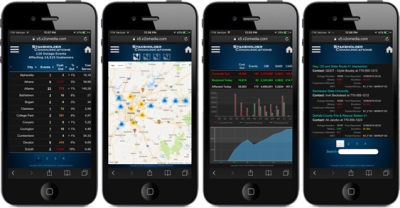 Automatic resizing of screens and touch sensitive support makes our mobile solution very easy to navigate. 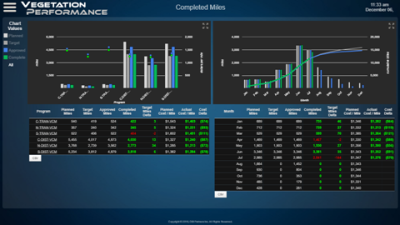 Charts, tabular, spatial views are fully supported. Targeting and color utilization alert users of pending activities that warrant attention. 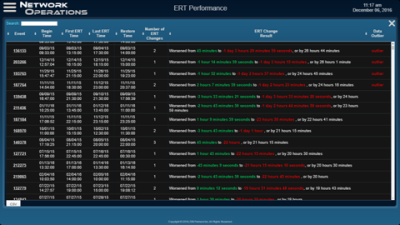 ERT Peformance provides intelligence on estimated restoration times so that utilities can accurately communicate with their customers. Often, Operations is focused on getting customers restored so their attention to ERT’s may not be a priority. 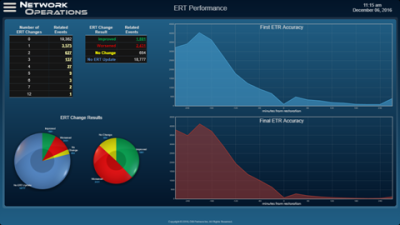 By analyzing history, along with conditions and other criteria, OBI can refine the accuracy of ERTs. 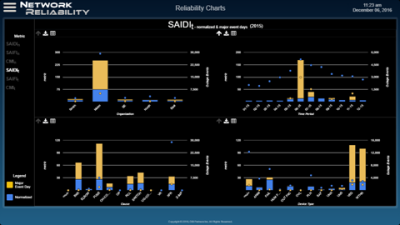 Network Reliability provides intelligence from the individual device to the circuit with multiple organizational levels supported. 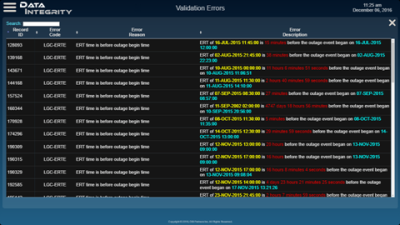 IEEE 1366 Reporting is available through reports and interative dashboards. 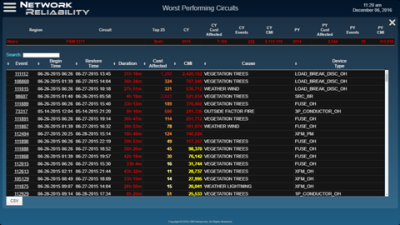 Worst Performing circuits provides drill down/thru information all the way to the event/ outage including customers affected, causes, failures and remedies. 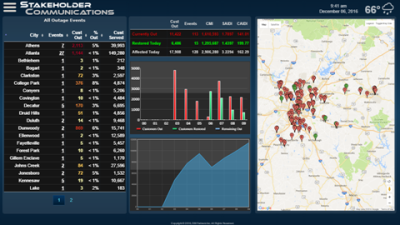 Vegetation Performance provides analytical information related to how the utility’s vegetation management program is performing from a planned, target, approved, actual, and forecasted basis. Benefits achieved can be tracked by SAIDI, SAIFI, by organization, device, cause and time. 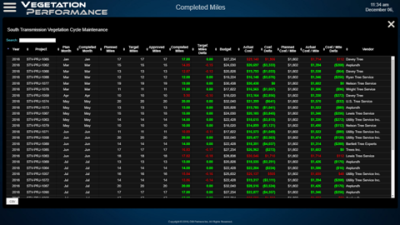 Vendor performance is also tracked by the aforementioned statistics along with other cost and quality metrics. 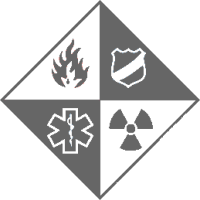 Detail is provided to the work order and outage/event levels. Customer Communications provides near real-time information to the Customer Care group as well as to the customer if they request automatic notifications. 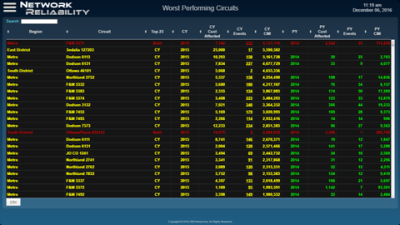 CSRs are able to track the critical customers that must have positive contact, groups that need additional support and other relative information. 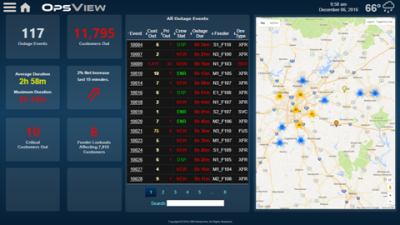 Outage information along with estimated restoration times and customer history is available within a single dashboard. This information keeps the CSR informed while keeping Operations focused on restorations. 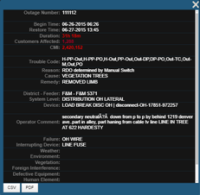 Stakeholder Communications provides near real time information to municipalities, towns and public safety agencies. 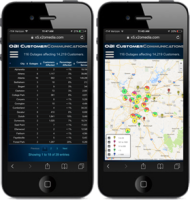 With this information, agencies can collaborate more efficiently with the utilities, focusing on specific areas affected by the outages, and managing programs for critical customers such as hospitals or life support residents. Information also includes Estimated Restoration Times, current durations, locations where assistance may be needed, etc. Data Integrity provides continual checking on customer’s data so that dirty or untrustworthy data is not communicated throughout the organization and beyond. There are several categories of data integrity that are tracked including, conformity, consistency, completeness, process, duplication, logic, etc. 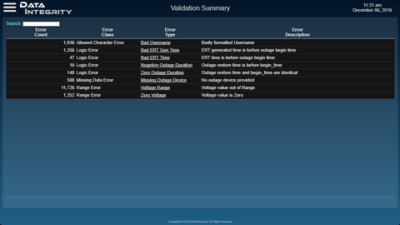 Data Integrity enables utilities to focus on analysis versus data cleanup.